NiMh elements is widely advertised as having high energy and not afraid of the cold. But unfortunately, these elements have memory, and their capacity decreases with each charge. A quality charger can prevent this, but they are very hard to find. Therefore, periodically exercise the battery. - skills in electrical engineering. Run the NiMh training elements, which consists in carrying out several (one to three) cycles of fully discharge and recharge the batteries. Discharge do to reduce the stress on the element to 1B. Discharge the items individually. The fact that there may be a different the ability to take charge of each battery. This is enhanced at the time of charging without exercise. Perform a discharge in a special device that can execute it individually for each battery. If there is no indicator control voltage, follow the brightness of the bulb and run the discharge to a significant reduction. Note the burning time of the bulb to determine the battery capacity. Use the formula in which the capacity is equal to the product of the discharge current and time discharge. 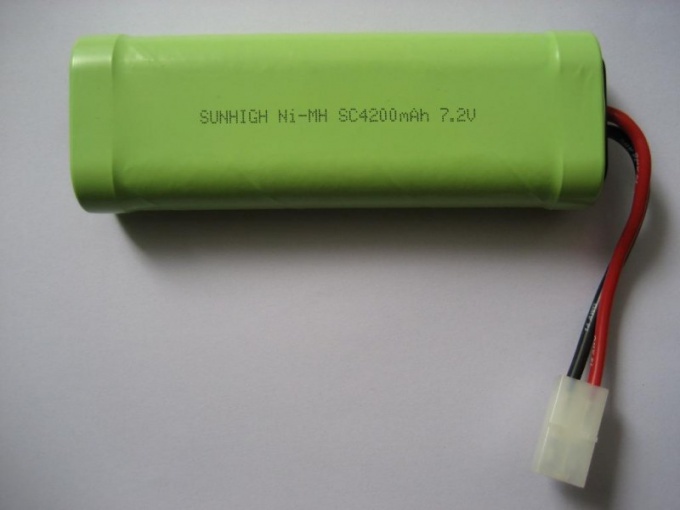 Accordingly, if you have the battery capacity of 2500 mA, can give to the load current of 0.75 A for 3.3 hours. If the discharge time is less, then the residual capacity is less. By reducing the capacity necessary to you, continue to practice battery. Run the discharge elements with a device made according to the scheme http://www.electrosad.ru/Sovet/imagesSovet/NiMH4.png. To construct it on the basis of the old charger. Only four light bulbs in it. In the case that the light discharge current is equal to or smaller battery, use it as a load indicator. In other cases, it is only an indicator when restoring the battery. Set the value of the resistor to the total resistance was approximately 1.6 Ohms. You can't replace the bulb with an led. For example, you can take a light bulb from krypton flashlight 2.4 V. After a full discharge each battery to adjust the charging. For two batteries with a voltage of 1.2 V charge voltage no more than 5-6 V. the length of the initial accelerated charging is usually from one to ten minutes.